How Long Should Your Brakes Last? Ensure that your brake pedals are working by having them serviced every 50k miles! The last thing anybody wants when they’re taking a leisurely cruise down the roads is for your music jam to be interrupted in sudden panic by faulty breaks! It’s not surprising that faulty breaks can come at inopportune times and catch us off-guard, they can often be brushed aside as an area for concern for more well-known issues in our cars like flat tires or a faulty A/C. Thankfully, it’s rare that you’ll suddenly go careening into the distance without warning, breaks more often than not provide the driver with telltale signs that they are wearing down. Suffice it to say, if you are experiencing problems with your breaks, it might be best to rely on auto service professionals for brake repairs. 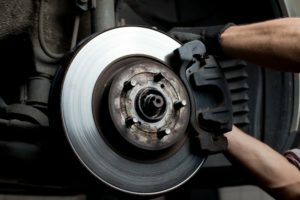 Consider these brake repair questions surrounding what goes behind the scenes when your breaks wear down and what measures to take if they need replacement. What happens if your brake pads wear out? It’s important to know how your brake pads wearing out can actually affect other systems and heighten the chances of additional repairs and replacements. Essentially, when you are stepping on the brakes, the brake pads press against the rotor and generates friction which slows your car down until a full stop is made. Heat distribution is produced evenly when your breaks are installed and used properly. However, not all cases will be peachy keen. Uneven wear may occur when pressures are being applied in uneven areas when there are uneven or loose connecting parts. When brake pads wear down to less than a quarter of an inch, you can expect the rotor to become affected with damages as well. Brake pads essentially cover metal clamps, aka calipers, and when they become exposed from their covers they will grind against your rotor which is also made from metal. Friction between two metal objects creates much higher heat levels which can, in turn, cause warping or breaks on your rotor. They can also potentially overheat other connective parts in your car in the process. That’s because a lack of brake pads will cause uneven dispersion of heat and cause the whole breaking system to eventually overheat and fail as a result. Your brake calipers, in particular, may deteriorate and the pistons that push the calipers into position may pop out too. Entrust a professional mechanic in examining your vehicle’s brake system! How do I know if my brake pads are worn out? When your brake pads are in the process of wearing out, you’ll probably hear a squealing or screeching noise when you release the brake pedal. Additionally, while you’re breaking you’ll most likely hear a grinding or rumbling sound. 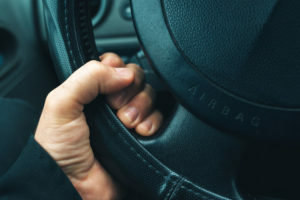 In turn, a metal tab that’s fastened to the brake pads will alert drivers when pads have thinned down by causing a squealing sound when it rubs against the rotors as brakes are being applied. If this is the case, you’ll need to replace the breaks and in some cases the rotor as well. When your brake pads are thinning out, the metal on metal friction of the caliper in contact with the rotor can cause a pulsing sensation to your braking and also affect the steering wheel causing it to vibrate. What causes brake pads to wear quickly? There are many in-depth reasons and scenarios that can affect damages to your brake pads and cause it to wear faster than normal. In a nutshell, the main issue that seems to repeat in forums are the effects caused by improper initial installations. How often do brake pads need replacing? It is recommended that brake pads be serviced or replaced every 50k miles, keep in mind that your driving habits can affect how long parts are intended to last. Which brand of brake pads is the best? Contact your local repair shop for assistance with brake repairs today! Ideal brake pad brands can ultimately differ in accordance with the type, make and model of the car that you have. However, the ones that are most popularly used in alphabetical order are ACDelco, Akebono, Bosch, Brembo, EBC Brakes, Hawk, StopTech, Raybestos and Wagner. If you have any questions regarding which brakes are right for your vehicle, call your local repair shop for assistance! For brake repair in Inglewood, CA call __PHONE__ with L.A. NTX Transmissions! Posted in Uncategorized on February 1, 2019 by L.A. NTX Transmissions. What is a Clutch and What Does it Do? The Pressure Plate (Left) Pushes the Clutch Plate (Right). 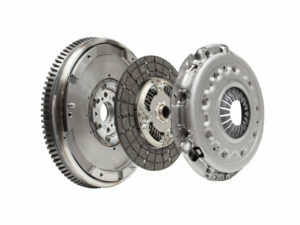 The clutch is composed of three primary parts: the fly wheel, clutch plate (or disc), and the pressure plate. The flywheel is connected to the car motor and is constantly turning. This is why your engine continues to run, even while your wheels aren’t rotating. Against the fly wheel fits a special disc-shaped plate, which helps turns with the circular movement of the fly wheel. Finally, the pressure plate (you guessed it) applies pressure against the clutch plate so that it connects with the fly wheel. If you’re feeling confused, don’t worry. Here are the numerical steps. The pressure plate pushes the clutch plate against the flywheel, which turns as the motor runs. When the clutch plate contacts the flywheel, the clutch plate spins. At this point, the engine has been connected with the wheel shaft, and the wheels begin to move. The exception to this operation comes when you press the clutch pedal in order to change gears. 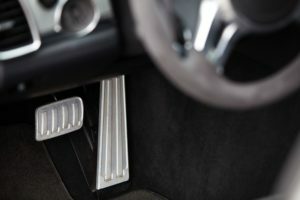 As you press the pedal, the pressure plate pulls back from the clutch plate, which in turn disconnects from the flywheel. This temporarily releases the wheels from the power of the engine, enabling the driver to switch gears. Timely Clutch Repair is a Must for Any Vehicle. Is it bad to shift without the clutch? 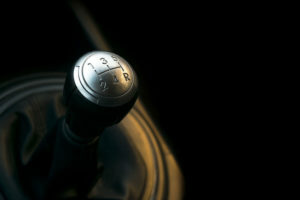 Without the clutch, shifting gears becomes much more laborious and damaging for your transmission. Even if you have very precise timing in your shifts, you will still put more strain on your transmission. If your timing is off, you’ll damage your gears as well. To play it safe, just use your clutch and gearbox as intended. Can you drive a car without a clutch? Even cars with automatic transmission utilize clutches to aid the gear system, and you certainly should use it for a manual. While you can start a vehicle, upshift, and even downshift without the use of a clutch, it is not recommended. Again, it places too much strain on your transmission and can lead to some early part replacements. 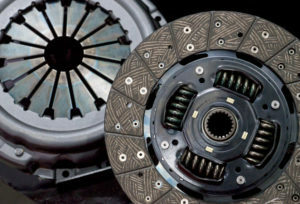 What are the Symptoms of a Bad Clutch? Any of the following symptoms will show when your clutch is going bad. If your clutch is regularly slipping as you switching into a higher gear, it’s likely a signal of a degraded. When you press the pedal with a weakened clutch, you may start to hear startling grumble sounds or squeaks. You may also notice that your engine is showing high RPMs, but acceleration is lacking. As the clutch starts to slip more, you’ll notice more and more instances of temporary loss of acceleration. You may eventually experience a complete loss in acceleration capability. If you’re on the road and your car performance is fading quickly, stop for repairs. Play it safe. A little car maintenance in Dallas, TX, is better than a breakdown in Arizona. How Do I Know When My Clutch Needs Replacing? Worn Clutches Can Lead to Lost Acceleration. Any of the symptoms above should let you know its time to change that clutch. You should especially pay attention to pedal changes and loss of acceleration, as these can greatly affect your ability to drive (and your personal safety). Be sure to avoid placing unnecessary stress on your clutch and gearbox, as these symptoms could pop up even with a relatively new clutch component. If your clutch is slipping a lot when you release the pedal, it may be a sign your system is burning out. Can you smell a clutch burning? If the slippage continues for long enough, yes. It’s not a pleasant smell. How Does a Clutch Wear Out? One of the of the most detrimental habits for your clutch is “riding it” (leaving your foot on the pedal all the time). Unless you are changing gears, keep your foot rested on the floor or to the side. A half-pressed clutch pedal actually burns out the clutch plate. Also, avoid releasing the clutch pedal before you’ve completely changed gears. Engaging the clutch on hills to brake the car is another big no-no. On the flip side, you can take some stress off your clutch with a few simple habits. Release the clutch gradually, not abruptly. Parking in neutral with the E-brake. Starting in first gear after complete stops. Decelerating long before coming to stop lights. Schedule Your Clutch Repair Today! Timely clutch repair will protect you on the road and help you avoid any lapse in driving performance. To learn more about clutch repair, or to schedule an appointment with one of our L.A. NTX Transmissions pros, give our team a call at (310) 672-8131! Posted in Uncategorized on November 21, 2018 by L.A. NTX Transmissions. Does Your Car Need a Tune Up? Being a responsible car owner and driver means taking care of your car by getting auto maintenance services such as tune ups. Tune ups for cars are like a human’s 6 month health checkup. In fact, a tune up is extremely affordable and basically works like how a state-regulated auto inspection works. 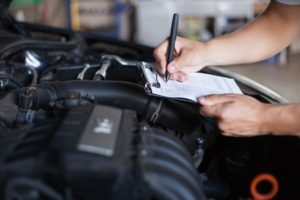 If you have brought your car in for a specific reason, your mechanic will locate and identify the problem, tell you how much repairs will be, and proceed with the service with your permission. If you need a tune up in Inglewood, CA, call L.A. NTX Transmissions at (310) 672-8131. Not getting a tune up leaves you more vulnerable with side-of-the-road breakdowns and flat tires. There are some telltale signs you can spot that signify you need a tune. Midfiring engines indicate that something is wrong in the engine. Don’t panic and think it is a big expensive repair. It could be something simple like a loose valve. If your car is slow to accelerate all of the sudden, your air filters could be clogged. Your car’s air filters need to be changed just like regular air conditioning filters. And obviously, if your check engine light is on, your car is telling you itself that it is damaged. What Happens in a Tune Up? Posted in Uncategorized on October 5, 2018 by L.A. NTX Transmissions. What Does A Drive Train Consist Of? Repair and Maintenance Is Vital For Your Drive Train. If you notice any of these issues, bring your vehicle to the shop for fast service! Repair can get your drive train back to its best and keep the rest of your vehicle in top condition. Drive train issues bear a resemblance to issues that can manifest from a damaged suspension system. This is because your suspension could be considered as a part of your drive train. It supports your vehicle and keep s your ride balanced an smooth. Additional issues that may arise with damage to the suspension may show as tire alignment and wear. This can lead to standard or luxury vehicle suspension repair requirements for your vehicle. If you notice any of the issues stated above, L.A. NTX Transmissions is your source for repair in Inglewood, CA. We are always available to assist you with your service needs. Give us a call today at (310) 672-8131. Posted in Uncategorized on September 4, 2018 by L.A. NTX Transmissions. Are Manual Transmission Cars Still Available? When looking for new cars to purchase, there are a plethora of options and choices available to you. Just by entering the color you want and specific features you are looking for, you can find the perfect vehicle to meet your needs. During searches, you may have even seen that you can choose between automatic and manual transmission for your new vehicle. When people see this, many of them may ask themselves, are manual cars even still available? The answer is yes! Some car owners swear by manual transmission for their vehicles, so much so that even BMW’s M division has confirmed their next generation of vehicles will still have manual available as an option. If you are unsure which is really better, manual or automatic, then there are a few key facts that can help in your decision. Automatic and Manual Transmission Both Offer Quality Benefits For Drivers. To start, we can examine the automatic transmission option. An automatic transmission is fantastic because of its ease of use, giving you a smooth drive from start to finish. Over the years, it has become more widespread, giving more drivers access to a variety of cars for their use. As the car does all the shifting for you, it also offers less distraction, allowing you to get from point A to point B without worrying about shifting. Manual transmissions, on the other hand, gives you many benefits to your ride. 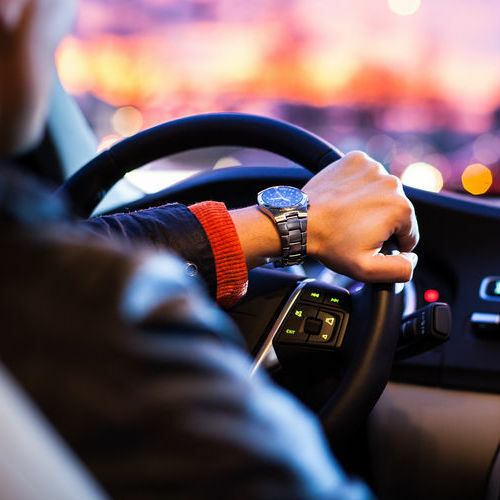 While it can take a while to get used to driving a stick-shift, manual transmission allows you to get a sense of closeness and control with your vehicle, allowing you to really enjoy the drive. On top of that, there are even some that say you can get better fuel efficiency from a manual transmission vehicle than an automatic. Aside from the clutch, which may need to be replaced infrequently, manual transmissions need less maintenance and are cheaper on average. While it may be a user discretion on which transmission they prefer, manual transmission truly offers the better benefits in our book. While manual transmissions are a great choice, you may be dismayed at the thought of having to learn a whole new system in order to operate your vehicle. For this, it is important to take into consideration which transmission is best for you and your needs. If you are unsure, our technicians are always happy to help and are also here for your auto and manual transmission repair needs. Our professionals have years of experience working on these systems and all makes and models of vehicle. We are always available to get started on your service in Inglewood, CA. Reach out to the automatic and manual transmission experts of L.A. NTX Transmissions today when you dial (310) 672-8131. Posted in Uncategorized on July 31, 2018 by L.A. NTX Transmissions. Our brakes serve a very important function for our cars. The brakes ensure that our cars stop when we need to. Without them, we would be crashing into things, which is very unsafe and can do a lot of damage to your car. 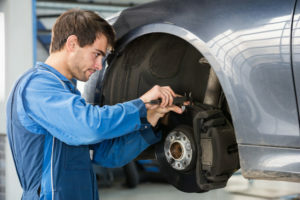 To make sure you are never in a situation where your brakes aren’t working, it’s important to get brake repair service. Below are signs that you need brake repair service for your car. Learn When You Need Brake Repair Service. The most simple and easy way to determine if you need brake repair is if your brake light comes on. This is a great function in any car and is the first indication that your brakes need to be serviced. There are several noises that our brakes can make. If your brakes are squealing or grinding, it means that the brakes pads are wearing out. Vibrations, when you press down on the brake pedal or vibrations in the steering wheel, happen because the brake rotors are uneven or there is something wrong with the brake caliper, which both need to be looked at. Have you noticed that when you press on the brake pedal it sinks to the floor really easily? This usually indicates that something is wrong with your braking system and needs to be looked at right away. Are you interested in brake repair in Inglewood, CA? Call L.A. NTX Transmissions at (310) 672-8131 now for professional brake service. Posted in Uncategorized on June 26, 2018 by L.A. NTX Transmissions. When Is It Time To Replace My Timing Belt? Your Timing Belt Keeps Your Engine Running, So It Is Important To Keep It At Its Best. As a car owner, you do your best to take note of when your vehicle is possibly experiencing problems and have them taken care of as soon as possible. Any weird noises, jerking or strange activity from your car should be checked out by a professional and repaired. However, there are some areas that can have issues without you knowing. One of these is the timing belt. This belt is connected to your crank and your camshaft, playing an important role in how your engine works. When it becomes damaged, it can render your vehicle inoperable. There are a few signs that the belt is damaged, however, they can be looked over or attributed to other parts of the vehicle. 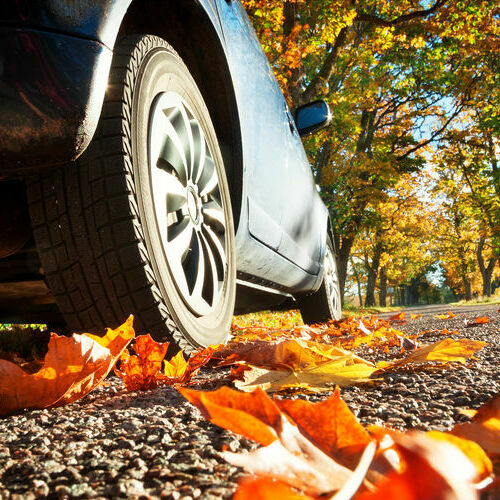 Keep an eye out for the following signs to keep your car road ready. 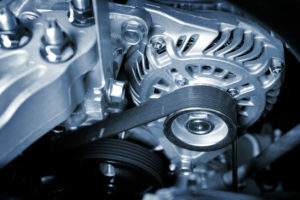 You Hear A Ticking Noise – Your timing belt is connected to your camshaft and crank, which help in moving your engine. When it wears, it may create a ticking noise as it moves along these areas. Your Engine Won’t Start, Or Is Misfiring – Because your timing belt is a part of how your engine works, damage to this piece can affect the functionality of your engine. This means when it snaps it may fail to start your car. If it is worn, your car may still turn on but may misfire on occasion. You’re Leaking Oil – Have you noticed oil leaking from your car? When the timing belt is damaged, it can allow oil to seep from your engine. This can have your engine overheat or even lock up. 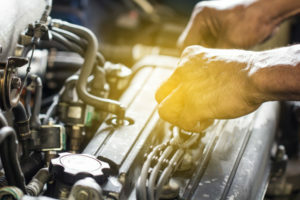 If you notice any of these issues, it is imperative that you get your engine services from an expert as soon as possible. L.A. NTX Transmissions is your source for transmission service in Inglewood, CA. 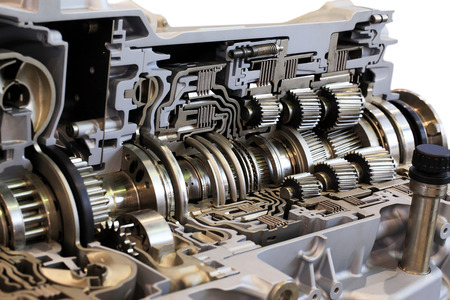 Call us at (310) 672-8131 for all of your transmission needs, including timing belt repair. Posted in Uncategorized on May 23, 2018 by L.A. NTX Transmissions. What if there was a way to prevent possible issues with your vehicle? There is if you get tune up service! This service provides quality maintenance that benefits your car and improves its life. You can keep your car in peak condition and working nonstop for you. At L.A. NTX Transmissions, we provide quality service for your vehicle. Not sure if you really need this service? Consider the following. You Can Make Sure Your Fuel Takes You Further With Improved Fuel Efficiency. Improve Fuel Efficiency – Over time, you may notice you are getting less and less out of your gas tank. Fuel efficiency can slowly decline the longer your vehicle is in use. Tune up services can fix this, restoring your fuel efficiency in your vehicle. 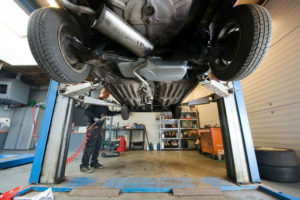 Reduced Mechanical Problems – Does it seem like your vehicle is constantly in the shop for some repair? Mechanical failure is a sign of poor maintenance. A tune up can locate problems early taking care of early warning signs, ensuring your vehicle gets the maintenance it needs. Prevent Expensive Repair – Unexpected repairs can take a big toll on your wallet. How can you prevent issues and even handle possible problems early? Tune up services can find these problems before they become an issue, stop possible issues from arising, and save you money in the long run by servicing your vehicles needs to keep it at its best. L.A. NTX Transmissions is your source for tune up and transmission services in Inglewood, CA. Want to keep your vehicle at its best with quality maintenance? Call (310) 672-8131 today and speak with our expert technicians. Posted in Uncategorized on April 20, 2018 by L.A. NTX Transmissions. When Do I Really Need a Transmission Flush? A transmission flush is a great way to keep your transmission clean and running smoothly for years to come. It is recommended that every 2 to 3 years, or 30,000 to 45,000 miles, is the optimal time to have your transmission flushed. If you’ve never had your transmission flushed or you haven’t done it in a few years, here are a couple of signs indicating when a transmission flush is needed. Learn When to Get a Transmission Flush! It’s common for our cars to make noises while we drive. What isn’t normal is when we hear grinding noises. A transmission tends to make a grinding noise when its fluid is dirty, has sludge, or other grime. In order for your car to stay in the correct gear, it will need adequate pressure provided by the transmission fluid. When the fluid is dirty, it can cause the gears to slip. Switching gears should feel very smooth without any jerking or surge. For a smooth ride, the transmission fluid needs to be clean. With dirty transmission fluid, it can be difficult to run through the system, causing surges or jerking while your drive. Another thing that dirty transmission fluid can cause it stalling when you start or switch gears in your car. To get your transmission flush in Inglewood, CA, call the experts at L.A. NTX Transmissions today at (310) 672-8131. We offer transmission services that are able to get your car back in great shape. 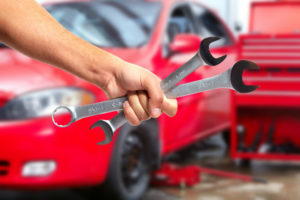 When you need the assistance of a professional mechanic, you have come to the right place. Posted in Uncategorized on March 19, 2018 by L.A. NTX Transmissions.